We Get Insurance Claims Paid! we have helped thousands of people get monetary relief from insurance companies. 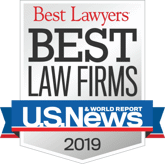 Kantor & Kantor, LLP is one of the most experienced and highly respected law firms in the nation dealing with litigating insurance claims against insurance companies. We represent clients whose insurance companies have refused to pay claims. It is important to seek legal counsel as soon as your claim is denied. We can help you challenge your insurance company denial at any stage of legal process, including submitting the claim, drafting an appeal, filing a lawsuit, and pursuing an appeal after loss at trial. There is no out-of-pocket cost to retain us – we only get paid if you get paid. As natives of the Southern California area, we are motivated to engage with individuals who are going through a tough time. It is more important to use that our clients receive justice and this is why we do not charge any upfront fees in most cases. Our firm works on a contingency fee basis for many of our clients, we do not get paid unless you recover what you have lost. With multiple awards under our belts we continue to strive for the rights of those who have been denied what is rightfully theirs. With more than 160 years of combined legal experience you can be confident that you have the full resources of our firm at your disposal. Check out more about our firm below and feel free to contact us today to begin speaking with our attorneys about your case. Our ERISA Lawyers have helped hundreds of people who have had their employee benefit claims denied. Most people are not aware of the fact that if their health, short term disability, long term disability, or life insurance are provided through their employer, disputes arising thereunder are subject to the federal law of ERISA and thus exempt from state law. In most of those cases remedies may be limited, and the rules and regulations for pursuing those remedies different or more restrictive than people expect. Our ERISA Lawyers have vast experience in handling matters in the specialized area of ERISA. Videos Don't go through this alone. Let the experienced attorneys at Kantor & Kantor help guide you through this process.